Over at Amazon, they have Bosch’s 12V Max PS22 brushless cordless screwdriver for $99. It’s $119 minus $20 off $100+ discount. I love my Bosch brushless drill/driver, which is very similar, but built with a drill chuck instead of the 1/4″ bit holder on this screwdriver. You’ll see the $99 price in your cart at checkout. The $20 off $100+ promo (see more eligible items here) expires at 3am ET 11/15/2018. 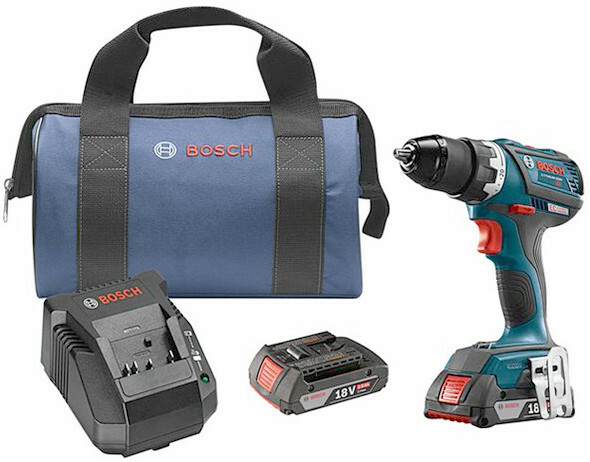 If you are on a tighter budget, the brushed model cordless screwdriver kit is also on sale, for $79. Cordless screwdrivers are still very popular with installers who want more control and repeatability when driving or adjusting small to medium-sized fasteners. If you want the drill kit, it’s currently $136.88, and also eligible for $20 off $100+ discount, bringing the final price to ~$117 for the kit. But, that’s not as good a deal as the one in August. 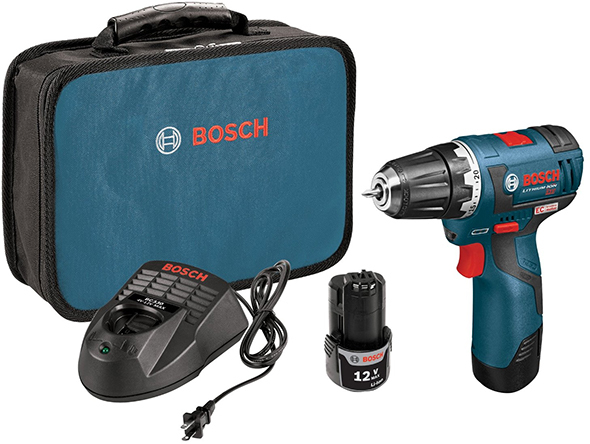 New Porter Cable Brushless Drill KIT, for $99 Why Bosch’s 12V Brushless Drill and Driver are PERFECT All Quiet on the Bosch Brushless Front? Nope – Here’s a Look at the DDS183! Pretty good deal. I grabbed the PS32 when it was on sale at 85 dollars. I really like it. I’ve had the brushless driver for a while, its very very compact and has plenty of power. I bought some 1/4″ quick-release drill bits (dewalt or something) and this thing has no problems drilling wood or some aluminum stock. The carabiner-style 12V led light (FL12) is excellent too. Same here, for the brushed model (PS21) – I’ve been using it with hex shank bits (Milwaukee & Ryobi) for drilling, and with Wiha 1/4″ to 4mm adapter for precision driving, and like it. My FL12 has survived, with no scratches, a fall from 5 ft onto hard floor, and being slammed shut when I forget it on a car hood. I’ve had the PS20 driver for years, and the PS21 not as long, but both have been invaluable, even as part of a lineup with the drills and impact drivers. It’s definitely life changing to have a dedicated cordless driver for bits, even better one thats compact and can drive fasteners both big and tiny. 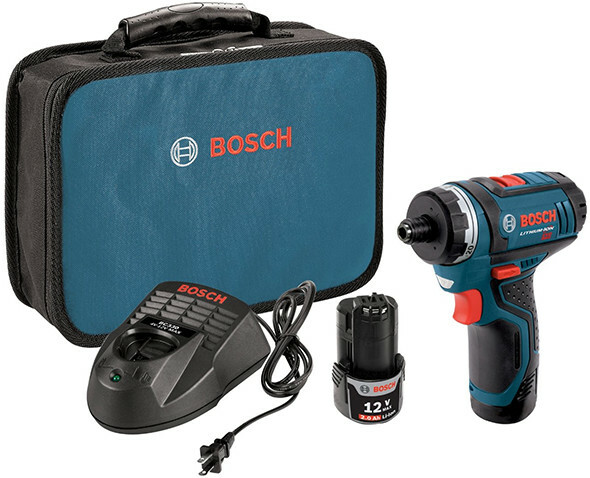 It’s just too bad Bosch doesn’t offer a whole brushless 12V kit with the drill, driver, impact driver and impact wrench instead of having to buy the tools with batteries and chargers. C’mon, Bosch. I also love all my Bosch 12v. Will be buying more of it. Ill be honest. It has a cool factor. Its nicely built stuff. My drill driver was an eye opener for me. I have not needed anything else yet. Damn, I might just get another one of these for just the battery… though I LOVE the PS22. I got the PS21 months before the brushless PS22 was announced and bought the PS22 right away. One thing that keeps me off of the PS21 — NO BATTERY METER. But if you’re on the fence… the FL12 is one my favorite small worklight ever. That August deal for the PS32 was incredible. The PS31 had been on sale a day or two earlier, and I immediately bought the PS32 and returned the PS31. It was like $5 more. I’ve been a big fan of that Bosch 12V brushless line since getting the PS42 for almost 2yrs ago. The oscillating tool is next on my list, and I’m impatiently awaiting the day they update the right-angle screwdriver, angle grinder, and recip saw to brushless. I’m hoping to find reason to justify the edge router, jigsaw, and planer. 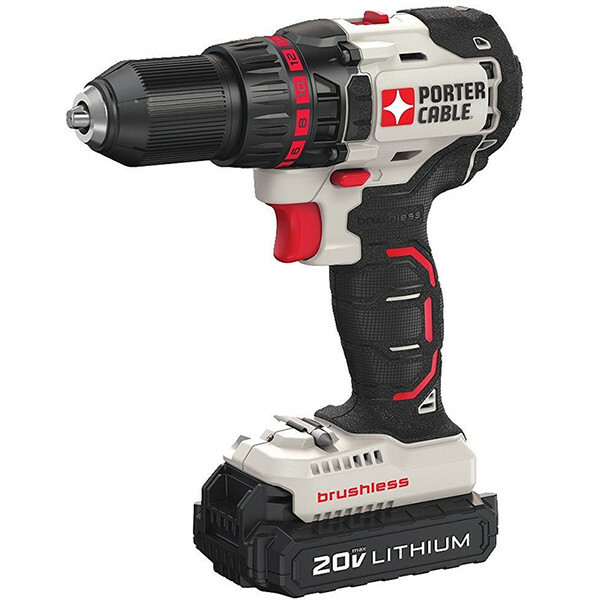 The PS42 impact driver is so good with nut drivers that I’m not even going to bother with the 3/8″ impact wrench. Incidentally, I just went to the qualifying items page for the $20 off $100 deal, and the oscillating tool is marked down to $79 (down from $99), which is the first price change since Amazon first listed it. The work light looks like the best bet to hit the $100 minimum for the $20 off. $79 + $29 – $20 = $88, so basically it’s like $11 off the regular price and a free work light. Not too bad. Bosch FL12 is pretty sweet at $30 (list price of $60 is too much IMHO) – it’s not a beast like my Ryobi P721, but is much smaller, has a magnetic base, is tough, and still provides a lot of light. The FL12 looks and sounds like an excellent light. It isn’t eligible for the $20 off $100 promo, so I ended up getting the GLI-12V-302 at $29, but I’ll probably pull the trigger on the FL12 next time I see a good price dip.